Yo, Gear Guy! Why are PXG clubs so expensive, and what’s the deal with driving irons? Welcome to another edition of Yo, Gear Guy!, an interactive GOLF.com series in which our resident dimplehead (a.k.a., GOLF's deputy editor of equipment, Mike Chwasky) fields your hard-hitting questions about clubs, fittings, gadgets, bounce, lofts, CG, MOI, and a bunch of other scary acronyms. Got a question for Gear Guy? Hit us up on Twitter, Facebook or email. Mark Seiffert from Facebook: Why are PXG clubs so expensive? You ask a reasonable question that a lot of folks have been wondering about over the past couple of years. The simple answer is because the owner, Bob Parsons, wants it that way. The materials and technologies used by PXG engineers are undeniably great and on par with other elite level club manufacturers, and the performance of the clubs is equally impressive. But obviously this doesn't explain why they might charge $400 per iron vs. $150 per iron from another maker. To fully grasp why PXG's business model places the company's products at a unique price point you have to understand what you get when you purchase PXG clubs. First off, you won't find them available "off the rack," any time soon, which means you will have your clubs custom fitted and built as part of the rather high price you'll pay to get them. If you were to buy another manufacturer's comparable irons off the rack, for example, and then went to a custom clubfitter to get them fitted and built with custom shafts and other options, you actually wouldn't end up paying too much less than you would if you bought PXG irons to start with. You can also continue to get your clubs checked and tweaked without additional charge once you take the plunge. 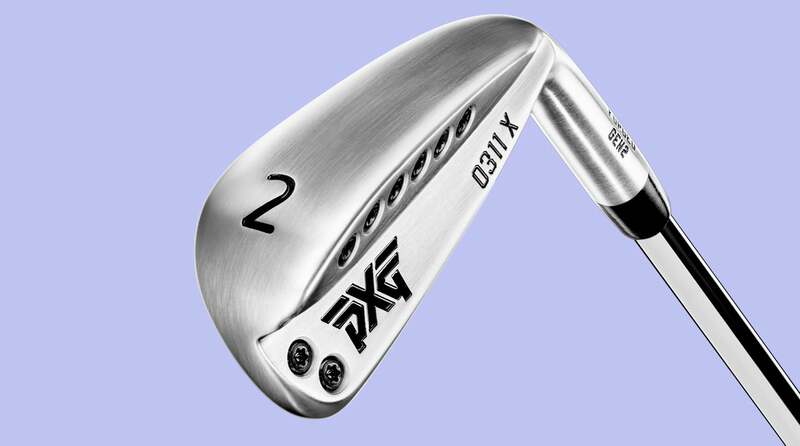 In the end, the PXG price actually isn't nearly as outrageous as many people think. @BJ_Haley on Twitter: I'm a five handicap and looking to buy new irons. I want a little more forgiveness but no extra distance. What would your recommendation be? More forgiveness with NO EXTRA DISTANCE? Not one I hear that often, but if you hit the ball long enough already and just want to hit it straighter then I get it. While I have no idea what irons you're currently playing (which would have been a useful piece of info), I can tell you that many of the "players," models available currently do provide significantly more forgiveness than those of a few years ago, though many also produce more ball speed and distance as well (you're sure you don't want that?). Anyway, depending on what you currently have, models like Callaway's Apex Pro or new X Forged, TaylorMade's P-770, Titleist's new AP2, Srixon's Z765, Ping's iBlade and i200, and Mizuno's MP18 MMC would all be worth a look. @Ba0.zer on Instagram: Why has the driving iron become so popular versus a typical hybrid? I'm not sure that driving irons are more popular than hybrids, except maybe on the PGA Tour. The reason is pretty straightforward – for high swing speed players a driving iron will often produce more desirable launch (lower) than a hybrid with similar distance and better accuracy due to a more controllable flight. That being said, the vast majority of recreational players have very little reason to choose a driving iron over a hybrid, as the more wood-like design of a hybrid makes launching the ball high and straight from a variety of lies much easier for average players. Both types of clubs are worth a try and if you're having trouble controlling your hybrid and have pretty healthy swing speed, then a driving iron could be worth considering. Otherwise, stick with hybrids. @deforce21 on Instagram: I have an older set of Callaway Warbird irons, and usually shoot a little north of 100. Will the newer "game improvement" model of irons make a noticeable difference for me? The Callaway Warbird was a nice game-improvement option a few years back and could be had for a good value. Certainly nothing that's killing you in terms of performance. However, the current game- and super-game improvement models that are made today, including Callaway's Rogue, Rogue X, and Big Bertha OS, along with various options from other manufacturers, simply have more advanced technologies that can produce higher launch, more distance, and better forgiveness than those from five years ago or more. A lot of the improved performance comes from designs that feature flexible clubfaces that produce much higher COR and ball speed at impact, not just in the middle of the face but on mishits as well. I would strongly suggest you sample some and compare them to your current Warbird model, and potentially go to a qualified clubfitter who can show you the results via a launch monitor. If you don't see significant improvement, keep what you've got. @CampbellSoup150 on Instagram: What is the best tool/training aid to help you snap your wrist when you get to the bottom of your swing? It sounds like you want more oomph through impact with a better release and more speed. If that's the case there are two training aids I've tried over the years that can help you learn to store and deliver more power to the golf ball. The first is the Orange Whip trainer, which is comprised of a weighted orange ball instead of a clubhead, a counterweight, and a very flexible shaft. The Orange Whip is available in a variety of sizes and forces you to store energy while you swing it, while also helping develop your core muscles. You can't hit balls with the Orange Whip, but through regular use you should develop more zip through impact. The other trainer is the Whippy TempoMaster, which features an actual clubhead on the end of a very flexible shaft. Though it won't do much for your core muscles it will help you store more energy through the swing and deliver that energy to the ball. Try either one of these (and follow directions) and the added power boost you're looking for at impact should develop relatively quickly.